Look closer at Bob Basted car sales and you will spot Drayton Road Cafe nestled within it. Order at the counter in the corner. Plenty of places to sit at the front of the cafe. If you chose to sit towards the back things get a tad more up-market with fun table cloths on the tables. Plenty of breakfast options at reasonable prices, I went for the large breakfast and added black pudding for just 50p extra. Good quality ingredients are used which is great considering how low the prices are. The coffee was not great. Classic condiments but remember to collect salt and pepper satchets when you collect your cutlery from near the counter. The huge plateful arrived and presentation was good. The sausages may have looked a bit undercooked but did taste delicious. Doorstep slices of toast and a good pair of eggs. Been to this cafe a few times and been disappointed each time. Often a number of issues each time such as eggs hardly cooked and cold, chips cold, bacon very fatty, oily and undercooked. One time they had run out of some condiments no sail, pepper or vinegar. Although spoken to staff each time quality has not improved. Sorry, but will not be going again. This could be a cracking cafe if only they did some basics well. 1. Cook the eggs as getting fried eggs with a pool of uncooked white is just not on. Warm the plate...not rocket science. Brown the sausages and make sure they are not pink on the inside. waste of a good quality sausage. When asked to cook the bacon crispy, do so and don't serve it with uncooked and white fat.. The toast is really good normally and proper thick cut bread, not plastic sliced. It is a pity as this cafe has good parking, lots of space and if they sorted out the food it is well priced. 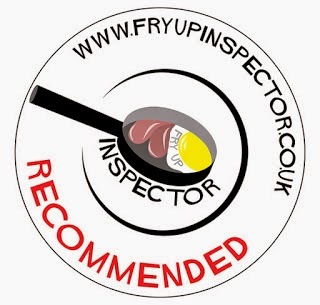 Im not sure what the 2 reviews above are about i had a delicious breakfast in here today, they have friendly staff, use quality ingredients and its reasonably priced! absolutly delicious and i would recommend a visit !! Lovely food served here, nice to find somewhere that serves good quality ingredients defiantly be back! Lovely breakfasts served here, bread is delicious lovely to find somewhere that uses quality produce customer service great ! Highly recommend !! Damn good fry up for me, tasty ingredients and plenty of it... full belly, happy me! I won't just recommend it... I'll keep coming back myself. I wholeheartedly agree with Annonymous, The Full Monty is not only a great breakfast, but super value at only £6.00. Like him I will keep going back and maybe one day we will make one anothers aquaintance there ! I called in at the Drayton Road café yesterday after hearing that it had changed hands recently, I had used the place before, but stopped because the food was so unreliable. The new man there, Dean, is friendly and amiable and cooks a mean Brekky at a very good price. If he carries on with what he did for me yesterday, a large breakfast, that was done to perfection, he will turn the place around in no time. Keep up the good work mate, and you'll see me on a fairly regular basis. Again a great breakfast today, and how good to see that the new man there has a 4 star rating on the front door. Just shows that lots of people including the council have recognized the effort and hard work you put in to upgrade your cafe. Well done and keep up the good work. Whatever the previous problems may or may not have been, Pam is taking over the cafe as from 1st June 2015. Drop in again and see what things are like under her management ! I expect the comments will start flowing now that Robin has put free Wi-Fi into the cafe for the benefit of his increasing customers! You sure you weren't still well hung over from New Years, If it was as bad as you say, did you even complain to the management ? I've never had a bad breakfast there yet ! I went there today for the first time and I was very happy. A little more than a wetherspoons but far tastier. Would happily recommend and revisit. This cafe used to be heaving ( back in the allowed smoking days of 80s/90s can you believe that looking back] and the food was great.So were the ladies who worked there . The pork dinner was sublime. BUT. it changed hands and crashed and burned.I tried to believe there was hope but when one day i ordered egg and bacon and received literally one rasher and one egg on a large plate.... Well i thought they were joking, apparently not.Your reviews and blogs and website pass my quality inspection with distinction. Keep it going FUI. Oh as an aside i know the best indian and chinese takeaways in Norwich and they are almost side by side. Harry. Do spill the beans on the Chinese and Indian takeaways, would be good to know! OK. The Lucky tandoori and Furama.I know Chinese food can be somewhat 'samey' but try the special foo yung and the pork balls ( half curry/half sweet and sour ) and anything from the Lucky. I also know a Chinese that purveys possibly the worst pork balls ,by comparison,in the whole world, to the point of utter disbelief! ( off Dereham Road too ) Harry P+H. OMG, i have just discovered the unmistakably best pies available, possibly in the world, too now. And in Norwich! Harry 37. Core Fire & Security Systems Ltd There is only one café in Norwich to go to and that is Drayton Rd. The service, quality and the premises are second to none, the lads and I pop in at least twice a week you cannot go wrong. Norwich, Norfolk and the world come on down and see Rob,Pam and Kelly and see the dream team in action.